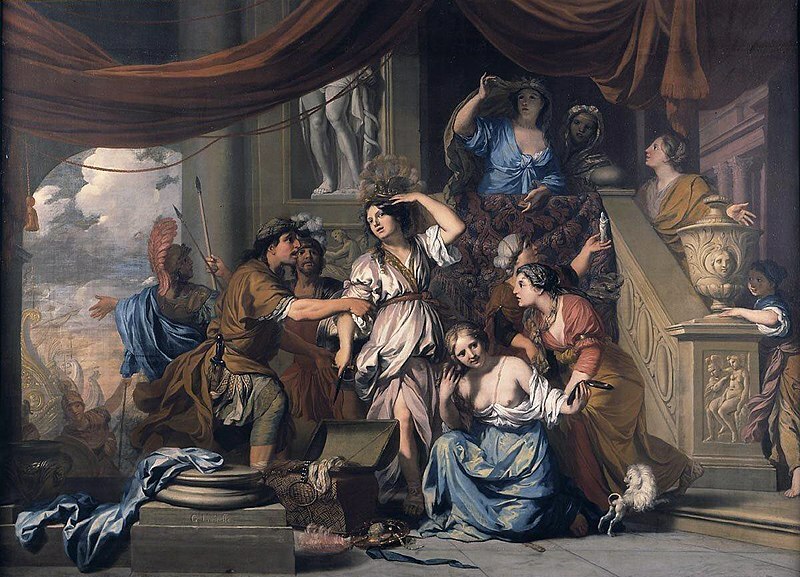 Achilles Discovered among the Daughters of Lycomedes was painted in about 1685 by Gerard de Lairesse, and depicts an event from Greek mythology. 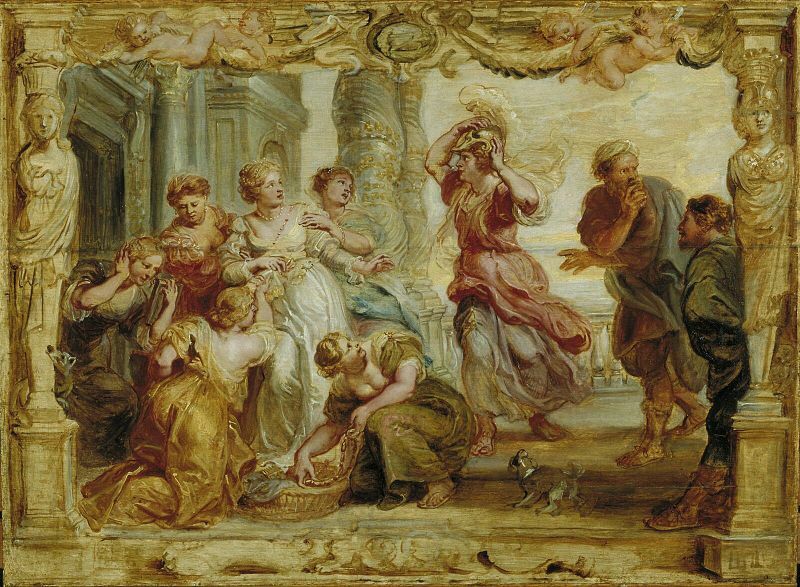 Painted as an oil on canvas piece, Achilles Discovered among the Daughters of Lycomedes shows the moment when Achilles, the son of Peleus and Thetis, is discovered in the court of Lycomedes on Scyros. 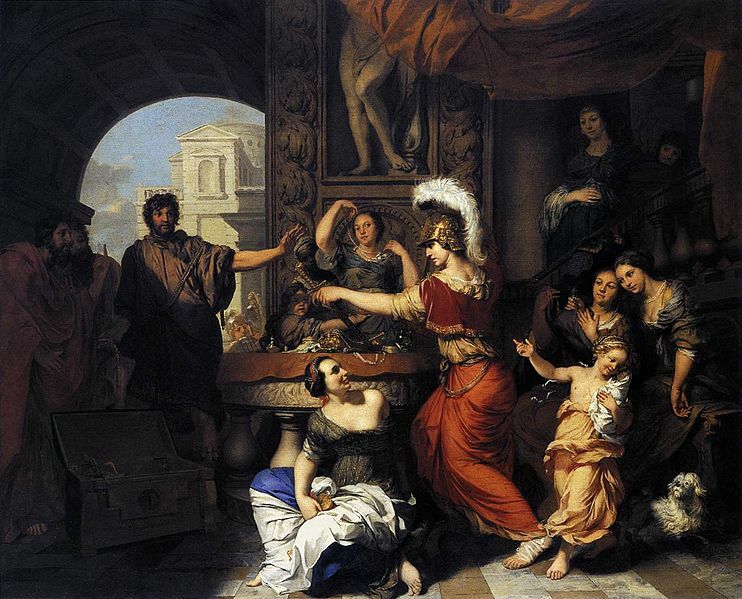 Achilles had been placed amongst the daughters of King Lycomedes by his mother Thetis, who knew that if he thought in the Trojan War he would die. To prevent him being called upon by the Achaean leadership, Achilles was thus disguised as a daughter of Lycomedes.